I love Mexican food, it is such a great option when eating out, as long as you know the right way to order it. 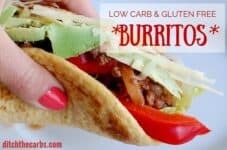 Low carb beef burritos is a fabulous recipe to make at home. Let your children create their own burrito at the dinner table. Kids love eating with their hands, and it’s amazing how many vegetables you can sneak into them. So how do you order Mexican food properly? Mexican restaurants are a great option for low carb dining. Make sure you don’t add rice, taco shells, burritos, wraps and soda. Mexican food is generally fresh, vibrant, colourful and healthy. It is the high carb side dishes, drinks, rice and the fried taco shells that just need to be avoided. I often ask for a ‘naked burrito’ which is really all the salad, meat, avocado, salsa and sour cream. Ask them to serve it on a dish just like they would a burrito but with the salad at the bottom then add all the options on top. Go to town with the salad and cheese and you have a healthy fresh fast food. At home you can make these low carb beef burritos. 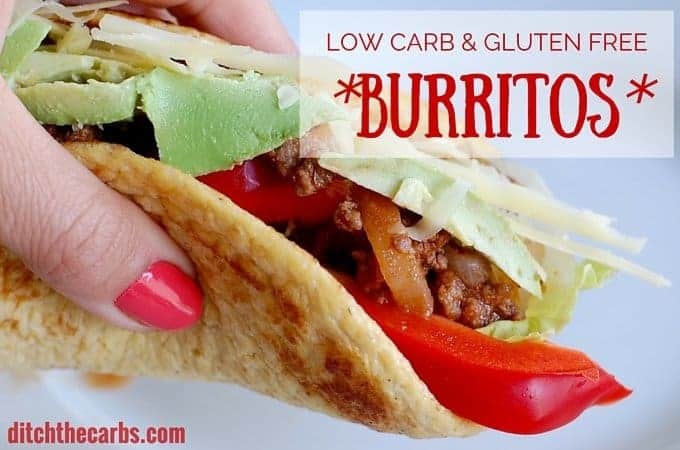 Make the beef burrito mix below, then add the low carb crepes, avocado salsa, cheese, sour cream and of course plenty of leafy greens and non starchy vegetables. Kids love low carb burritos because they are allowed to eat with their hands. Fill the low carb burritos up with fresh colourful vegetables, sour cream, salsa and guacamole. Yuuuuum. Heat some oil in a saucepan and gently fry the onion and garlic until cooked but still soft. Add the mince/ground beef and continue to cook and stir until the meat is browned. Add the herbs, spices, and tomatoes. Stir thoroughly. Simmer and occasionally stir for 15 minutes while you prepare the crepes, vegetables and avocado salsa. The nutrition shows 1 serving of the chilli ground/mince beef. Serves 6. The amount of avocado, sour cream and cheese has not been included as this will very incredibly between individuals. 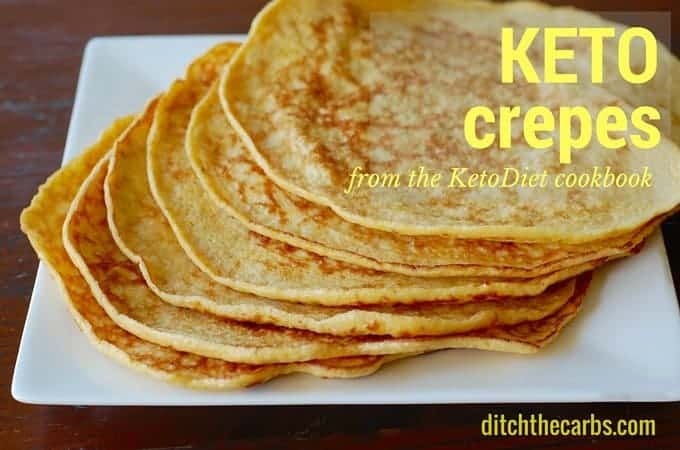 Wraps are such a staple for so many lunches, so these keto crepes are a lovely alternative. They are sturdy yet soft and delicate. Use them as a low carb beef burrito with chilli, cheese and sour cream, or how about adapting the recipe to a sweet version and making chocolate crepes using my sugar free chocolate spread? These can even be made in advance. 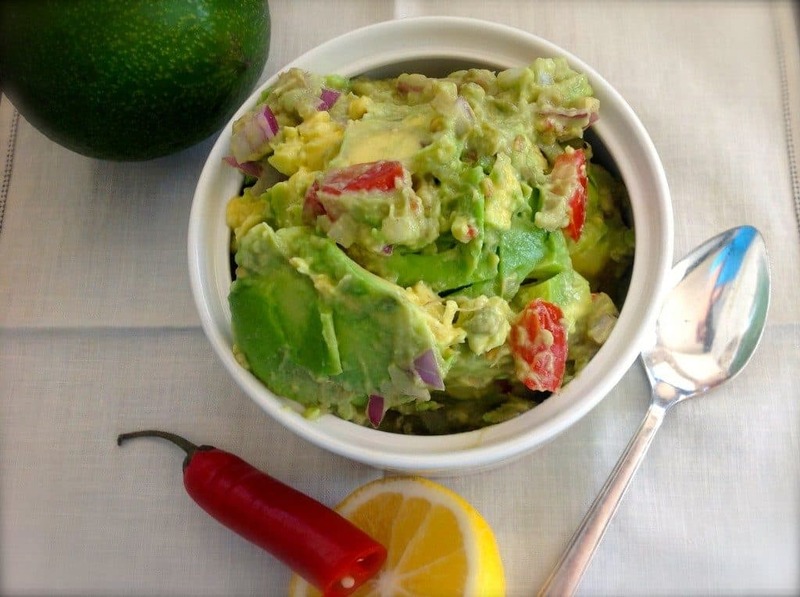 Serve with a huge bowl of avocado salsa, it’s pretty much like guacamole but I add tomatoes as it’s the only way I can get my 9 year old to eat them. Are fresh tomatoes allowed on keto diet? I did not see them in your burrito and just wondered. Yes, as long as you account for them in your daily carb allowance. My emphasis is on whole real food, that is lower in carbs. Making this recipe now for supper. My son will have them on regular flour tortillas and myself on a lettuce leaf. Started the ketogenic diet 4 weeks ago, type 2 diabetes. So far the results are fantastic and its the first time I’m not waiting for the next meal because I feel hungry. Thanks for the recipes. So the meat with a crepe is 10g carb and 32g protein? I only need approx 65g protein per day to not overdo it since it turns to sugar and at 20g carb or less for ketosis this would be fairly high? Great question Erica. 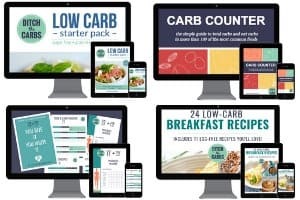 I try to remind readers that we are low carb not no carb, and for some that are keto, some recipes may be too high for you. 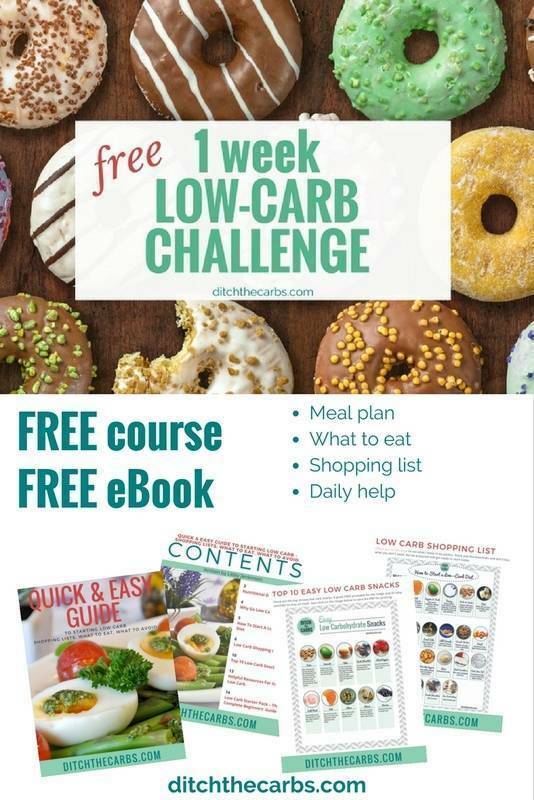 Always choose recipes that are carb appropriate for you, so you could try this but use lettuce wraps instead? That would certainly lower the carbs and the protein for sure. These look so good! I have been missing flour tortillas since I cut wheat out of my diet. This looks like a wonderful alternative. Can’t wait to try it out. Thank you for sharing. Will be having this meal tonight. Thanks for sharing and for especially including the nutritional information. It’s a huge help!